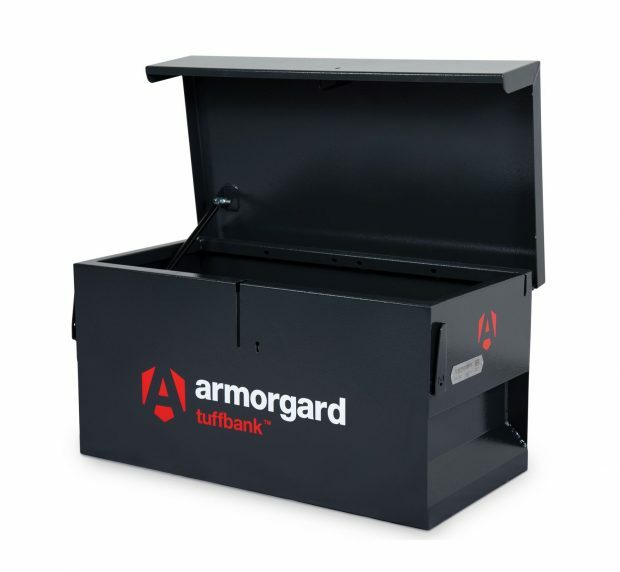 The Armorgard SB6 StrongBank Truck Box is the absolute ultimate in security nothing on the market compares to it. Every vulnerable area on the Strongbank area is strengthened. Thieves are very rarely successful with this box. Unique external and internal anti-jemmy systems and fully welded continuous piano hinge. Welded on serial numbers for overnight key replacements. Gas struts on all Armorgard SB6 Strongbank Truck Box for easy opening & closing. Features unique external and internal anti-jemmy systems. Constructed from 3mm steel throughout. Gas struts as standard on all sizes, ultra robust 5 lever deadlocks with anti-drill plates and anti-cut rollers. Durable brass keys, 6mm reinforcement around the locks to prevent drilling. Serial numbered for a rapid key replacement service. Fully welded piano hinge.